Up in the air above Kauai, the oldest Hawaiian island is one of the most wonderful and unique experiences in our lives. Since about 80% of the island is inaccessible by road, there’s an incredible amount of hidden beauties to discover by hiking, taking a boat tour or a helicopter tour. 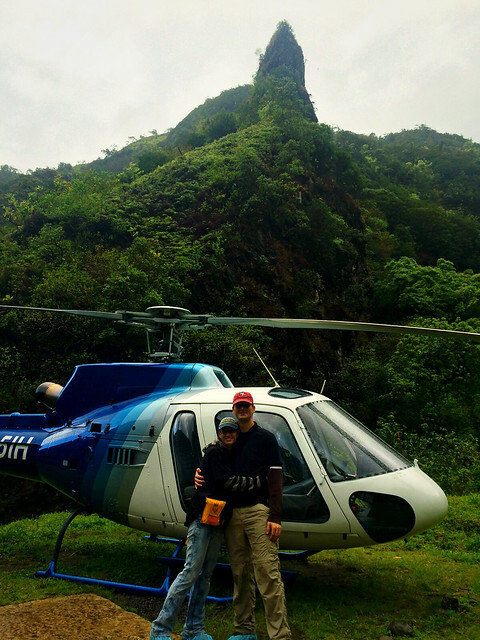 I’d rarely define anything as a must-do, but in case of Kauai, I’d risk saying that a helicopter tour there is a must. 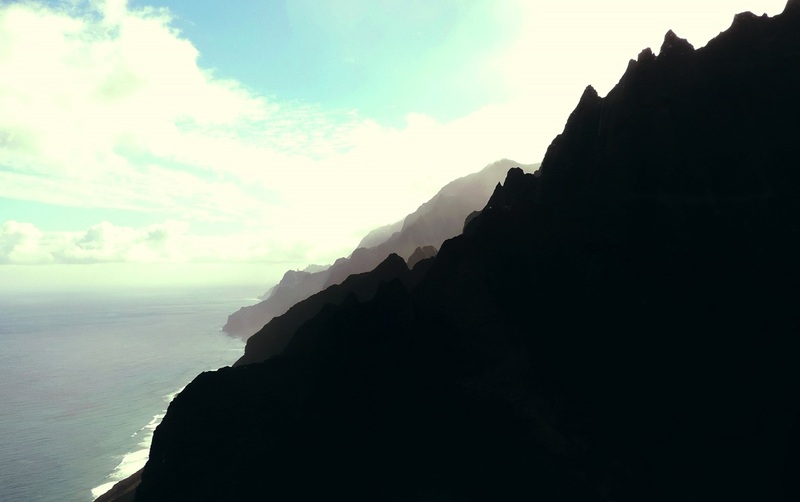 It took us to magical places we couldn’t have seen otherwise, and we felt after the tour that we would have missed most of Kauai’s beauties without the tour. They are inaccessible in any other way but by air. We saw hundreds of huge waterfalls in the deep valleys of Mount Wai’ale’ale – which is one of the wettest spots on Earth and have about 2000 waterfalls nearby! 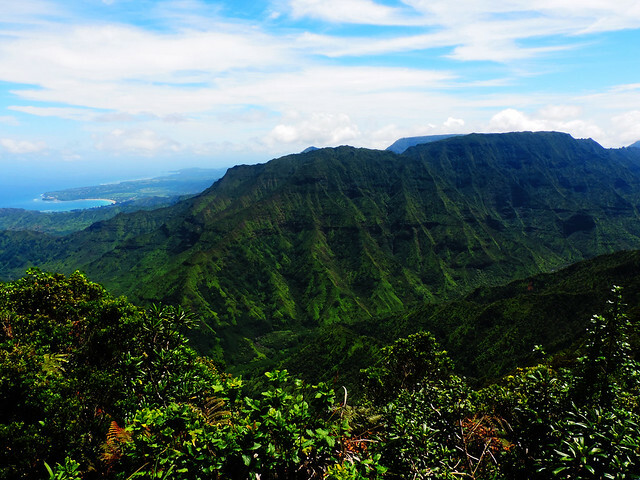 We also flew down to the crater of the volcano which formed Kauai over 5 million years ago – nowadays, there’s flowing waterfalls on its walls and it’s lush green as everything on this island. 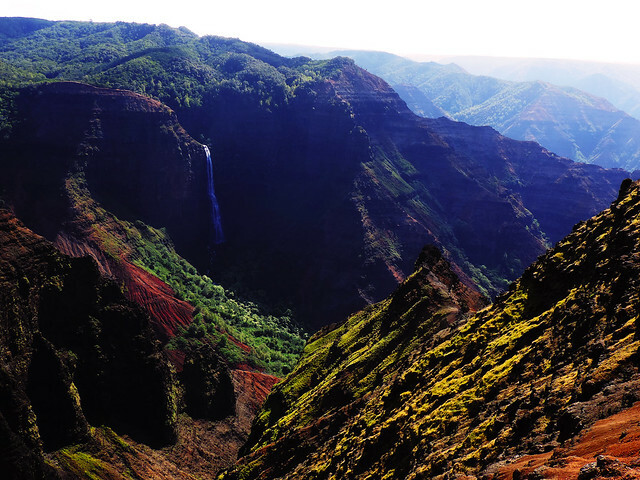 The journey continued above the red cliffs of Waimea Canyon – often referred as Grand Canyon of the Pacific – with having a closer look at 800 feet high Waipoo Falls. 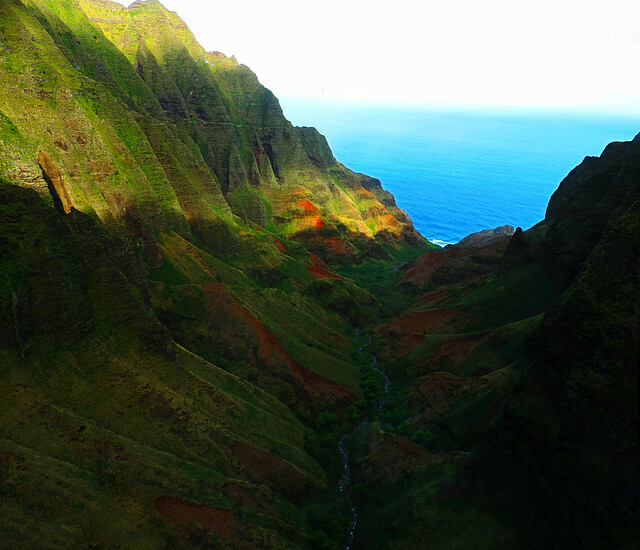 From Waimea Canyon we headed towards the Na Pali Coastline, flying close to steep canyon walls, hidden waterfalls and beaches. The color of the water near the coastline was so turquoise that we simply couldn’t imagine before that this perfect color exists in nature… And then a huge rainbow appeared above the water. Flying through rainy and sunny spots we saw so many huge and strong (and some double) rainbows as we’ve never seen in our lives altogether until that day. 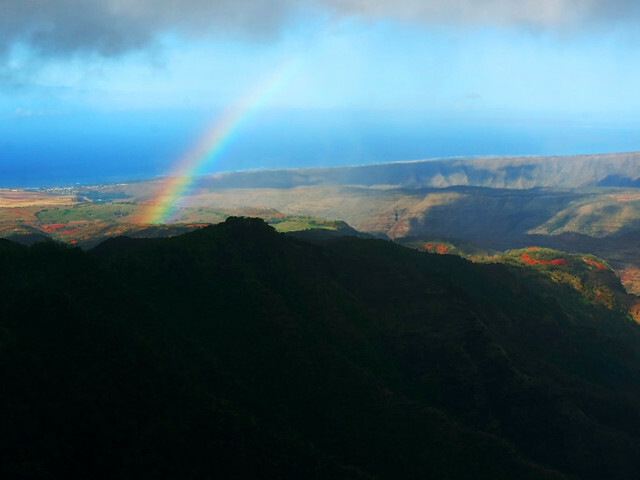 In Kauai’s quickly changing rainy and sunny periods, it’s not a rare thing to see beautiful rainbows. We saw them on the beaches, too, but never so many as during our helicopter tour. 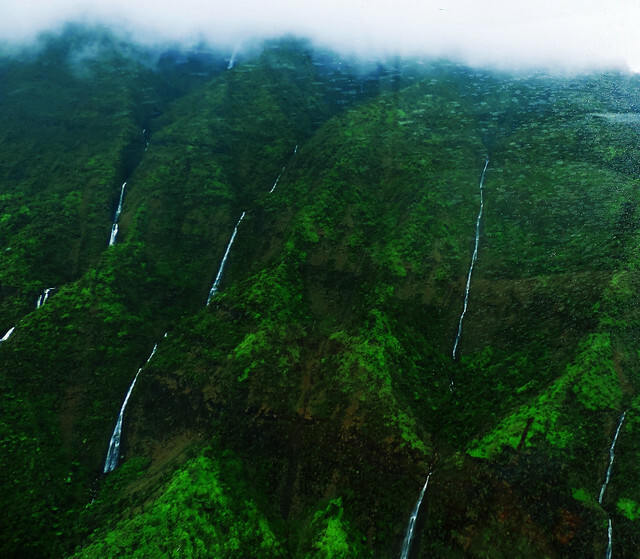 We chose Island Helicopters’ Jurassic Falls Tour which is the only tour on the island including a landing at one of the waterfalls in the valley of Mount Wai’ale’ale. This is the waterfall where they filmed the helicopter landing scene in Jurassic Park I. by the way. 🙂 In spite of the rain (which is not at all surprising near Mount Wai’ale’ale) we really enjoyed that 10-15 minutes at the waterfall in this steep, hidden valley. It was over too soon… and it left us speechless. Have you ever been on a helicopter tour? How was your experience? Disclosure: Please note that this is not an advertisement and we were not compensated for this post — this tour was such an unforgettable experience for us that we wanted to share. Opinions expressed are solely our own and we thought that sharing the name of the tour company can be useful, that’s the only reason for highlighting the name.